Calling themselves Ansarullah (God’s partisans), the Houthis are a numerous clan of Yemen’s Arab stock belonging to a religious but armed rebel branch of Zaidi Shi’ism. They are guided by Iran’s Ja’fari Shi’i theocracy and Safawi movement which call the Arabs inferior. The Houthis follow Safawism which is hostile to Arabism. The Houthis, who are called by critics “arrogant crooks”, emerged in 1992 in Sa’da, Yemen’s north-western province bordering Saudi Arabia. 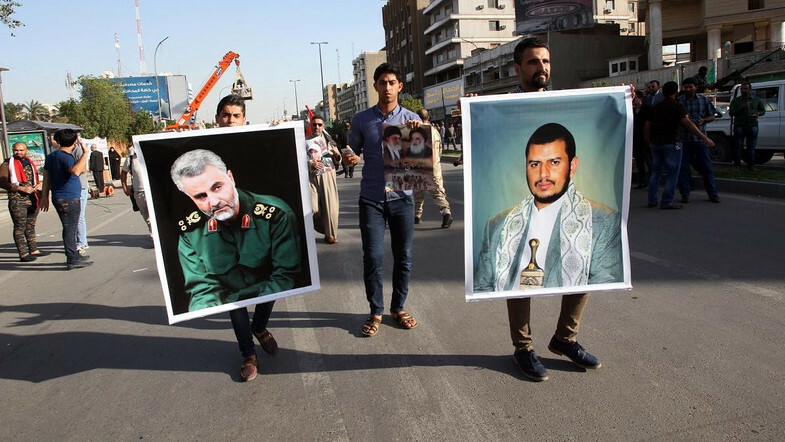 Under the leadership of Hussein Badruddin al-Houthi, the clan became Iran-guided rebels to Yemen’s ex-president Ali Abdullah Saleh who they accused of corruption and criticised his dependence foreign powers. Tensions with Saleh’s regime grew until war broke out in 2004 with the group’s founder Hussein, who was killed later in that year by Saleh forces. The Quds Force, an external arm of Iran’s ruling Islamic Revolutionary Guard Corps (IRGC), guides the Houthis. The Iranian theocracy’s other Arab proxies like Lebanon’s Hezbollah also helps in the training of Houthis in combat and organisation. In late 2014 the Houthis led by Abdul Malek, Hussein’s brother, repaired relations with Saleh and the Yemeni armed forces. With the latter’s help, the Houthis took control of the capital Sana’a and much of the north. Like the Lebanese Hezbollah – the strongest under the Quds Force – the Houthis attract Zaidis in Yemen by promoting regional political-religious issues in its media, including the overarching “US-Israeli conspiracy” and Arab “collusion”. In 2003 the Houthis’ slogan was: “God is great, death to the US, death to Israel, curse on the Jews, and victory to Islam”. The Houthis explicit goals include ending Yemen’s underdevelopment, corruption, nepotism and political marginalisation – seeking greater autonomy for Houthi-held areas. However, the group is excessively corrupt and lacking in morality. 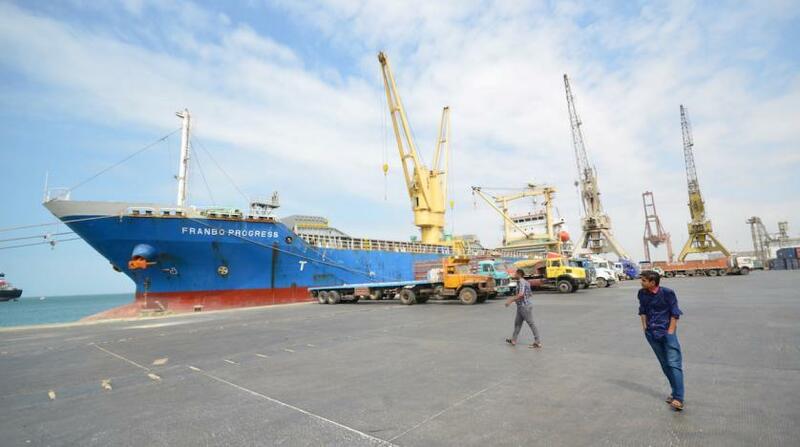 It took part in Yemen’s – coordinating with other opposition groups and joined the National Dialogue Conference in as part of a Saudi-led Gulf Co-operation Council (GCC) peace plan. Nonetheless, the Houthis rejected the November 2011 deal’s provisions stipulating formation of six federal regions in Yemen, claiming that they did not reform governance and “divided Yemen into poor and wealthy regions”. They said the deal was an attempt to weaken them by dividing areas under their control between separate regions. In 2014–15, the Houthis took Sana’a from the Yemeni armed forces under President Abd Rabuh Mansur Hadi with Saleh’s help, controlling most of Yemen. Houthism began as a relatively moderate theological movement, hold a broad-minded view of all the Yemenis. The group’s first organisation, “the Believing Youth”, was founded in 1992 in Sada by Muhammad and Hussein al-Houthi. It set up school clubs and summer camps to promote a Zaidi revival” in Sa’da. By 1994–95, up to 20,000 students had attended the Believing Youth’s summer camps. The religious material included lectures by Lebanon’s Grand Ayatollah Muhammad Hussein Fadhlalla and Hezbollah chief Hassan Nasrallah. Later, Houthism includes shoring up Zaidi support against neighbouring Saudi Arabia and condemnation of the Saleh regime and its alliance with the US, along with complaints regarding the government’s corruption. Although Hussein al-Houthi had no official ties with the Believing Youth, he radicalised Zaidism after the 2003 US invasion of Iraq. BY-tied youth shouted anti-US and anti-Israel slogans in Sana’a’s Saleh Mosque after Friday prayers. That attracted the authorities’ attention, further increasing Saleh worries over the extent of the Houthi influence. Saleh thought that, if now the Houthis chanted “Death to America”, tomorrow they could be chanting `Death to the president”. So over 800 Believing Youth supporters were arrested in Sana’a’ in 2004. Saleh then invited Hussein al-Houthi to a meeting in Sana’a, but Hussein declined. On June 18, 2004, Saleh sent government forces to arrest Hussein. Hussein responded by launching an insurgency against the regime but he was killed on Sep 10, 2004. The insurgency continued intermittently until a truce was reached in 2010. Later the Houthis joined in the 2011 Yemeni Revolution, as well as the ensuing National Dialogue Conference(NDC). But they rejected the provisions of the November 2011 deal on the ground that it divided Yemen into poor and wealthy regions. 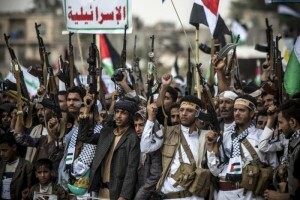 As the revolution went on, Houthis gained control of greater territory. By Nov. 9, 2011, the Houthis were in control of Sa’da and Jawf provinces and close to taking over Hajja, which would enable them to launch a direct assault on Sana’a. In May 2012, they controlled most of Sa’da, Jawf, and Hajja provinces, as well as gaining access to the Red Sea and began erecting barricades north of Sana’a in preparation for more conflict. Saleh was allied with them in 2014-2017. By Sep 21, 2014, the Houthis controlled parts of Sana’a including government buildings and a radio station. But while Houthi control expanded to the rest of Sana’a and other towns like Rada’ with the indirect Iranian role, that was challenged by al-Qaeda and ISIS. The Houthis on Jan 20, 2015, seized the presidential palace in Sana’a where Hadi was staying but was not harmed. They on Feb 6 in that year took control of the government, dissolving parliament and making their Revolutionary Committee the acting body in Yemen. In March 2015, two mosques were hit by ISIS during mid-day prayers, killing 142 Houthi worshippers and wounding over 351, making it the deadliest terrorist attack in Yemen’s history. On TV speech, Abdul Malek al-Houthi accused the US and Israel of supporting the terror hits blaming regional Arab states for financing terrorists in Yemen. On March 27, 2015, in response to perceived Houthis threats to the neighbouring countries, the Arab alliance conducted air-strikes against the Houthis. The alliance between Saleh and the Houthis broke down in late 2017, with armed clashes occurring in Sana’a. Saleh declared the split in a Dec. 2 TV statement, urging his supporters to take back the country and offered a dialogue with the Saudi-led coalition. On Dec. 4, 2017, Saleh’s Sana’a house was attacked by the Houthis killing the ex-ruler. 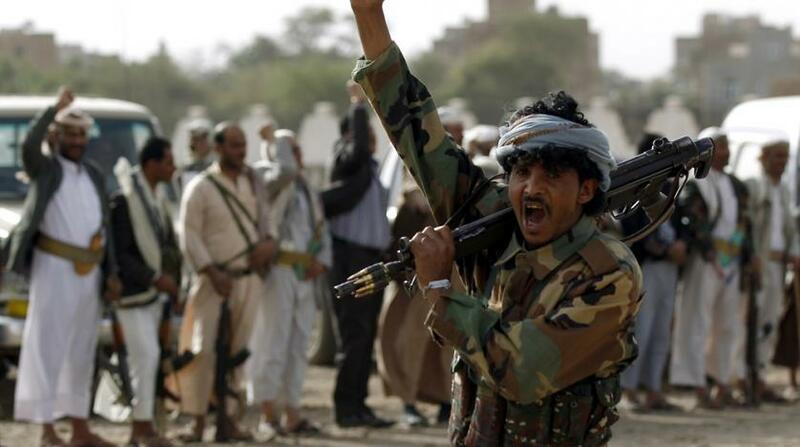 The Houthis had up to 3,000 fighters by 2005 and 8,000 in 2009. In 2010, Yemen Post claimed they had over 100,000 fighters. The expert on the group Ahmad al-Bahri in 2010 said the Houthis had over 100,000 followers, including armed fighters. By 2015, they had swaths of new supporters outside its traditional demographics. The Houthis’ ideology is based on Zaidism, also known as Fivers, a sect almost exclusively present in Yemen. Zaidis make up about 25% of the population, Sunnis make up 75%. There are tiny Muslim minorities. Houthi Zaidis make up about 30% of the Shi’i population. The Zaidis ruled Yemen for 1,000 years up until 1962. They ferociously defended their independence and fought off external powers – Egypt and the Ottomans – controlling South Yemen and trying to extend their rule to the north. Similar to the other Shia in matters of religious law and rulings, the Houthi belief in the concept of an Imamate as being essential to their religion makes them distinct from Sunnis. The Houthi approach is in many ways similar to that of Lebanon’s Hezbollah. Similarly religiously based and guided by Iran, both groups follow the same military doctrine and glorify the Khomeini revolution. Consequently, they have regularly been accused, even by many fellow Zaidis, of secretly being converts to Ja’farism – Iran’s official sect. The Houthis assert that their actions are against the expansion of Salafism and for defence from discrimination, whereas the San’a’ government has accused it of intending to topple the regime out of a desire to institute Zaidi law, destabilising the state and stirring anti-US sentiment. The government also accuses them of having ties to external backers, in particular, Iran. The Houthis’ flag reads: “God Is Great, Death to America, Death to Israel, Curse on the Jews, Victory to Islam”. This is partially modelled on Iran’s which reads “Death to US and death to Israel”. A Houthi spokesman Ali al-Bukhayti and the media face of the Houthis have tried to reject the literal interpretation of the slogan, stating: “We do not really want death to anyone. The slogan is simply against the interference of those governments [USA & Israel]”. However, the Arabic Houthi-affiliated TV and radio stations use jihad (holy war) connotations against Israel and the US. The group has been accused of expelling or restricting members of the rural Yemeni Jewish community. 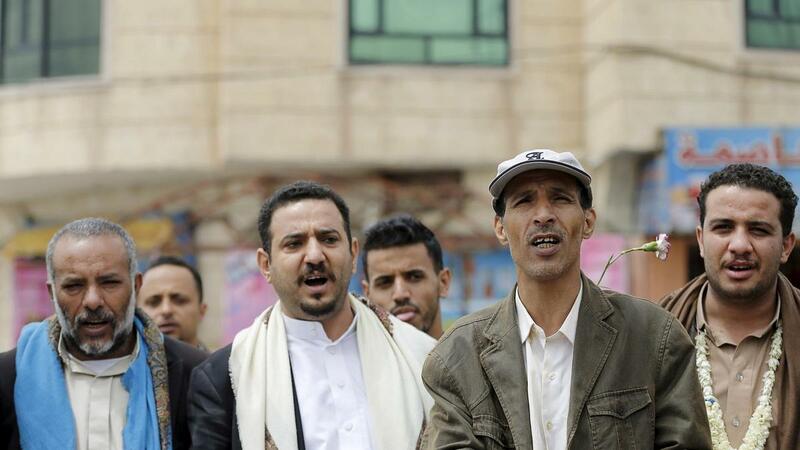 Reports of abuse include Houthis’ supporters bullying or attacking the country’s Jews. 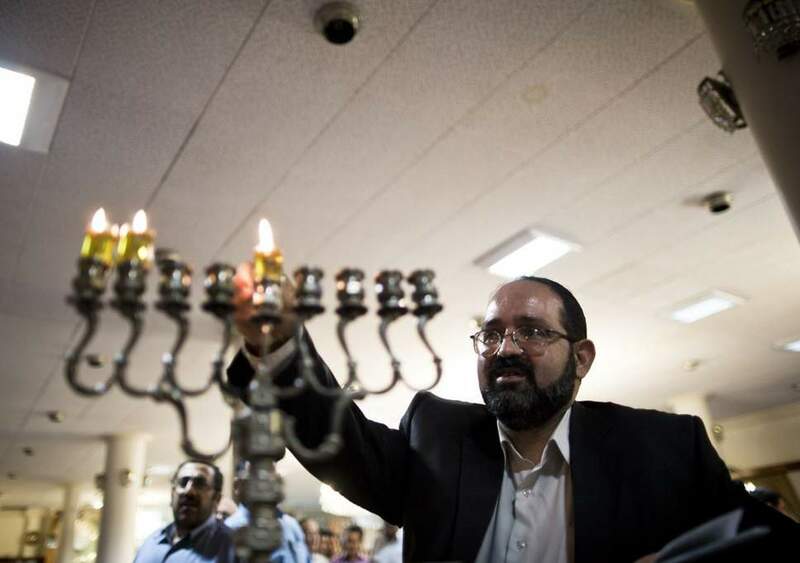 A Yemeni Jewish rabbi says many Jews remain terrified by the Houthis’ slogan. As a result, Yemeni Jews retain a negative sentiment towards the Houthis, who they allege have committed persecutions against them. According to Ayoob Kara, Houthi militants had given an ultimatum telling Jews to “convert to Islam or leave Yemen”. Ali Akbar Velayati, International Affairs Adviser to Iran’s Supreme Leader Ayatollah Ali Khamenei, in October 2014 said: “We are hopeful that Ansarullah has the same role in Yemen as Hezbollah has in eradicating the terrorists in Lebanon”. Iran’s support for the Houthis has risen since 2014.